Welcome to my stop on the blog tour for Fractured Soul, sequel to Fractured Light by the awesome Rachel McClellan. Click here for my post on Fractured Light. The next installment in the series will be Fractured Truth in 2014. Rachel is also the author of Confessions of A Cereal Mother and the short story "Simon Says" in the anthology Screams in the Night: Tales of Terror. 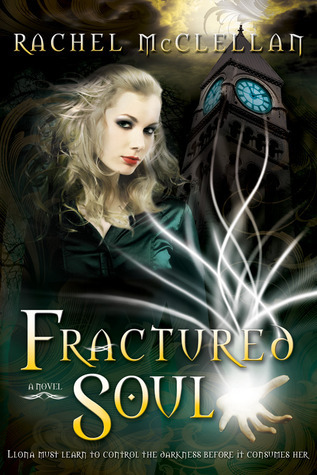 For a chance to win an eCopy of Fractured Soul enter the Rafflecopter form at the end of this post. To visit the other blogs on this tour, click the tour banner above. Read an excerpt from Fractured Soul! Rachel's writing style draws you in with it's pacing, main character's point of view, and mystery plus creepiness. The way it's woven makes you want to keep the light on and keep reading. Rachel is very good at suspense and cliff hangers so once you come to a chapter end you've simply got to keep reading. It's as if the chapter breaks aren't really there. Just as in the first book, the story will keep you guessing at what's what and who's who. Because the main character has the power to manipulate and use light, the theme of the internal, metaphorical battling of light and darkness is present, though in this case, as in much good fiction, it is explored in a literal (no pun intended) sense, as light and dark are very real in the world of the Fractured Light series. The way that Rachel writes this struggle, in the mind and perspective of the teenage main character, in small at first, and then increasingly large manifestations, rings very authentic and human. Now for the Giveaway! Please fill in the form below for a chance to win an eCopy of Fractured Soul by Rachel McClellan! Open internationally. No problem! Your writing is great!